One of a series of Geocoins depicting a nation’s flag. 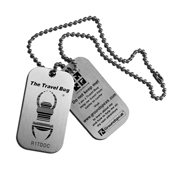 The reverse has the Geocaching emblem, and the text “Track at Geocaching.com”. 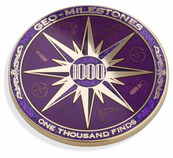 Each coin has a unique tracking code and is trackable at Geocaching.com. 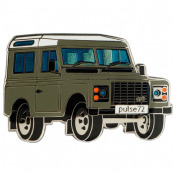 2.5 cm (1”) in diameter – they will fit in many Micro Geocaches. 2.5 mm thick – they have a weighty feel. They have been finished to an excellent standard. 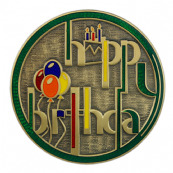 Each coin has a unique icon associated with it. 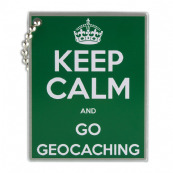 This icon appears wherever the Geocoin is listed (For example, Cache inventories and a Geocachers tracking history.) 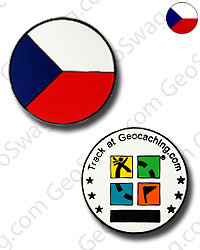 This Geocoins icon can be seen on the top right of the photo. 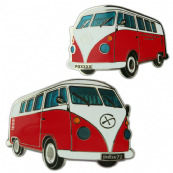 Great for sending on an adventure, or to add to a collection. 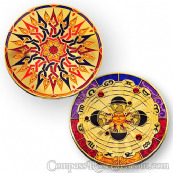 Each coin comes in a protective pouch and comes with activation instructions.